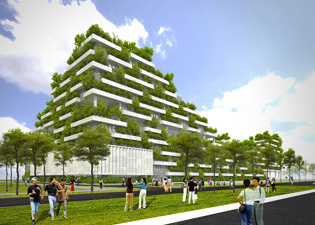 A new design for FPT University in Ho Chi Minh City promises to create more green energy than is destroyed in its creation, and provide the city with a new icon for sustainability. 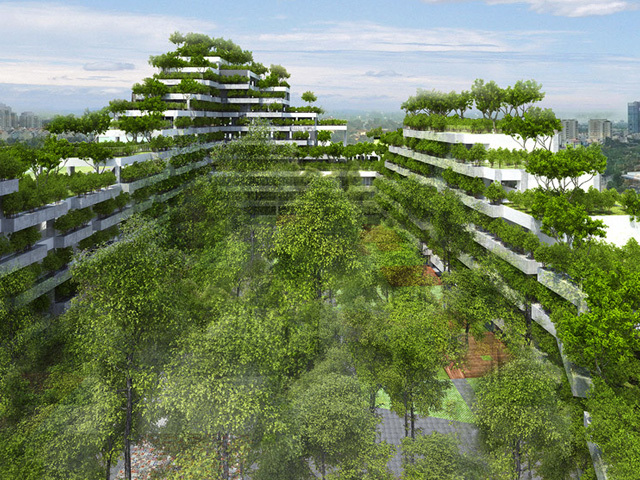 Vietnamese firm Vo Trong Nghia Architects has unveiled designs for a verdant university campus in Ho Chi Minh City, featuring tree-covered rooftops, balconies and a plant-filled courtyard. 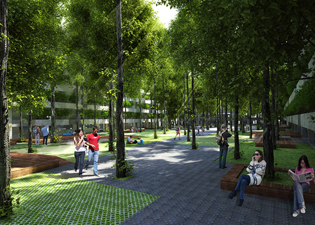 The FPT University campus will occupy a 22,500sqm site among the skyscrapers of the southern Vietnamese city. Pockets of planting will be dispersed throughout the staggered floors of the building, framing the expansive courtyard at its centre. The number of floors will increase towards the corners of the plot and fall in the flanks to create a gently undulating outline that counters the city's typically vertical blocks. "This sprawling metropolis has a primarily flat landscape that is dominated by vertical straight buildings," said the studio. "To engage the city in a different way, FPT University appears as an undulating forested mountain growing out of the city of concrete and brick. This form creates more greenery than is destroyed, counteracting environmental stress and providing the city with a new icon for sustainability." 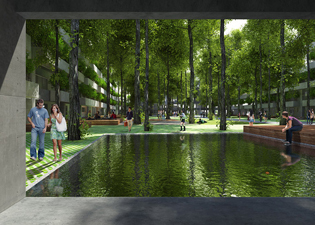 The greenery from the central courtyard and perimeter gardens will seep into the circulation wells of the building and continue onto balconies, walkways and into rooftop gardens. 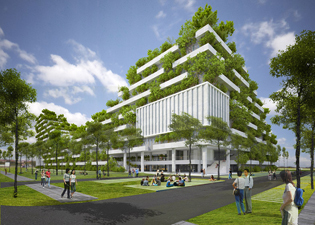 The architects claim the greenery will provide shade and improve air quality, reducing the campus' reliance on air conditioning. They expect these semi-outdoor spaces to provide meeting, lunching and events areas for some of the 5000 students that can occupy the campus at any one time. "Cities, especially in thriving countries like Vietnam, are growing at such a speed that infrastructure is unable to keep pace," said the team. "Environmental stress is observable through frequent energy shortages, increased pollution, rising temperatures, and reduced greenery." "Ho Chi Minh City illustrates these issues, having only 0.25 per cent of the entire city covered in greenery." "FPT University has been designed towards a harmony between humans and nature," the team added. "The building will aid the recovery of greenery that once flourished in this land and foster a new generation of thinkers."